While I would say that rhubarb pie is definitely a favourite for many, it’s also not a everyday dessert. Roasted rhubarb, though, with all its health perks is a different story. It’s fast to prepare and it’s not hard on your fat quotas. It’s delicious on its own or atop Greek yogurt. Enjoy! In a medium bowl, toss together rhubarb, brown sugar, 2 tbsp maples syrup, orange zest and vanilla extract. Pour rhubarb mixture into a large baking dish (9×13-in) and spread so that pieces are in a single layer. 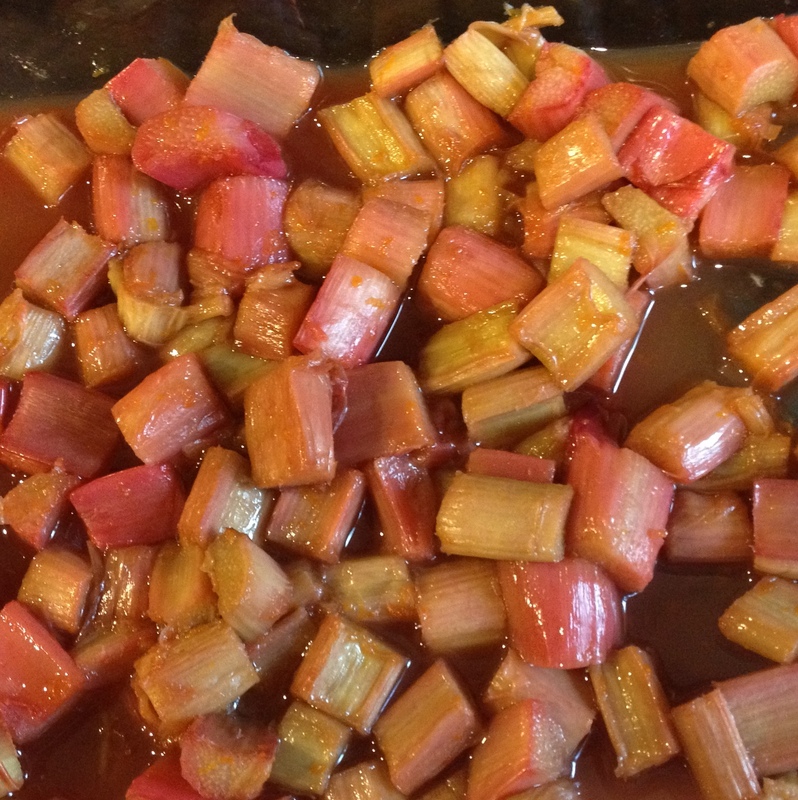 Bake for 20 -25 minutes, or until rhubarb is tender. Adjust sweetness, if necessary, by adding the remaining tablespoon of maples syrup. Do you have any favorite ways to prepare rhubarb for everyday eating? Please share in the comment section below.